Experience the ultimate escape game that’s specially designed and crafted by talented interior and industrial designers. 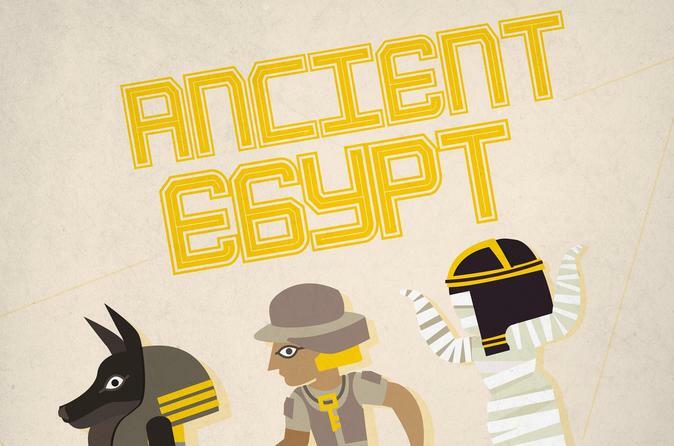 In this ancient Egypt-themed escape game, you will enter the inside of the Great Pyramid, but then the stone door suddenly collapses behind you. Will you find the mystical, hidden passage and lead your team out, or will you meet your demise wandering until death within the chambers? Join an adventure game in which you are locked away with your friends to solve a series of puzzles and riddles in order to escape the room within an hour. Don’t miss out on this four-to-eight person game that’s one of the more challenging games with a success rate of only 22 percent. Play a student that’s super excited about an invitation from your archaeology professor, Dr. Stanley, to join his Egyptian expedition. Upon arrival after a very exhausting trip, you learn that Professor Stanley has been missing for days. His last known trip was to King Tut's tomb. You notice that the stamped date on the invitation was the same day he has gone missing. You’ll wonder: could this be more than a coincidence? You and other crew members decided to search for Professor Stanley. Upon entry of King Tut's tomb, the stone door suddenly collapsed behind you. Wander and explore with your team while mysterious forces lead you astray from your destination. Will you be able to find the hidden path and lead your team out, or will you meet your demise wandering until death within the chambers?